About four to six weeks after mating, a healthy female bearded dragon will lay her eggs in a nesting box or in a corner of the habitat, depending on how her habitat is set up. It's important to know the signs of a pregnant -- gravid -- bearded dragon, so that you can be prepared to incubate the eggs and house all the baby bearded dragons as they start to hatch. 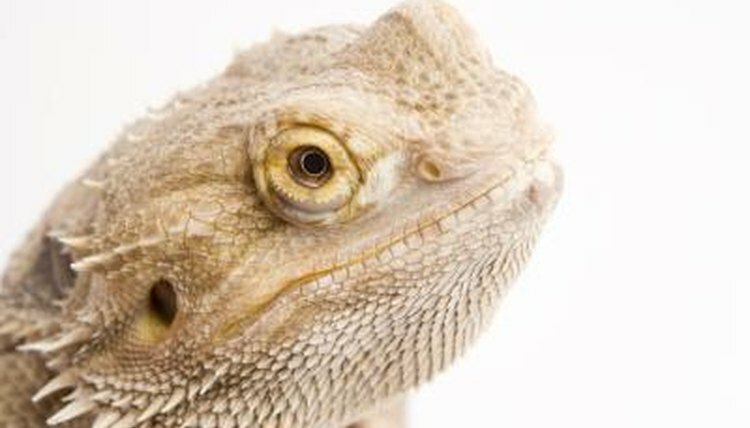 You may never see the male mount the female bearded dragon, but you may start to see signs that she is gravid. A pregnant bearded dragon will eat more; her appetite will drastically increase and she will always want to eat. Around the second or third week, you will start to notice her belly swelling. As the eggs grow, you should be able to see grape-like lumps in her abdomen. If you pick up the female and gently press on her belly, you will be able to feel the eggs.